When they’re in the market for storage, companies on tight budgets and with limited in-house IT capabilities often feel the need to accept compromises. But with the arrival of the PowerVault ME4 Series from Dell EMC, those days are gone. These new entry-level storage systems are big on value and small on price – and they’re purpose-built and optimized for both Direct-Attached Storage (DAS) and Storage Area Network (SAN) environments. PowerVault ME4 Series configurations start at under $13,000, including all the enterprise-class software to store, manage and protect data. It’s simple, too: customers can choose to install systems starting in 2U or 5U hybrid or as all-flash. Management is made easy via an integrated web-based (HTML5) management GUI. There are no compromises on speed, either. PowerVault ME4 systems deliver up to 320K IOPs, great bandwidth, and new Intel Broadwell processors. PowerVault ME4 Series represents a great sales proposition. It enables you to defend accounts and strengthen customer relationships. 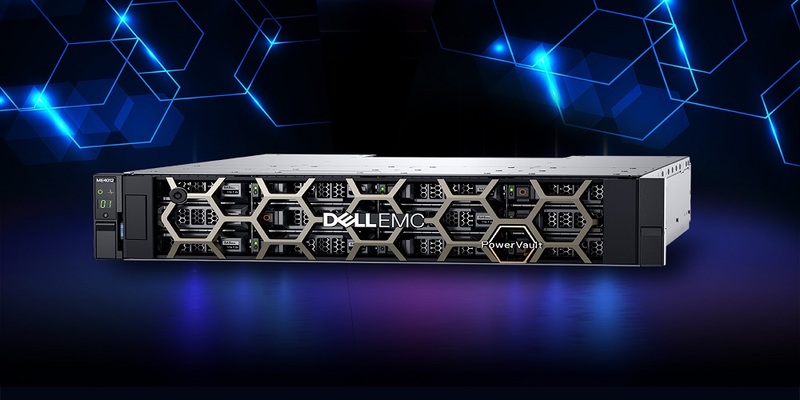 It can be attached to Dell EMC PowerEdge servers, and it’s a great tech refresh proposition where PowerVault MD3, PS, SCv2000 and VNXe models are in place. With your new customers, it’s a great cross-sell. Its enterprise features, web-based management, all-inclusive software, simplicity, high performance and low cost make it an attractive addition to every Dell EMC PowerEdge server sale. And then there are all the upsell opportunities, including consultancy provision as well as ProDeploy and ProSupport services. There’s more great news for you and your customers alike about the Dell EMC PowerVault ME4 Series on the Partner Portal – and you can also watch the PowerVault ME4 Series Video.